Ok, another shot from EPCOT. Sorry, but I just can’t help myself. When I return from a trip with fresh material, it consumes me. I just want to share. The problem of course is that with all my travel, I still have a TON of “new stuff” to get to. And, I have another trip coming soon, really soon. Where do you find the time, huh? 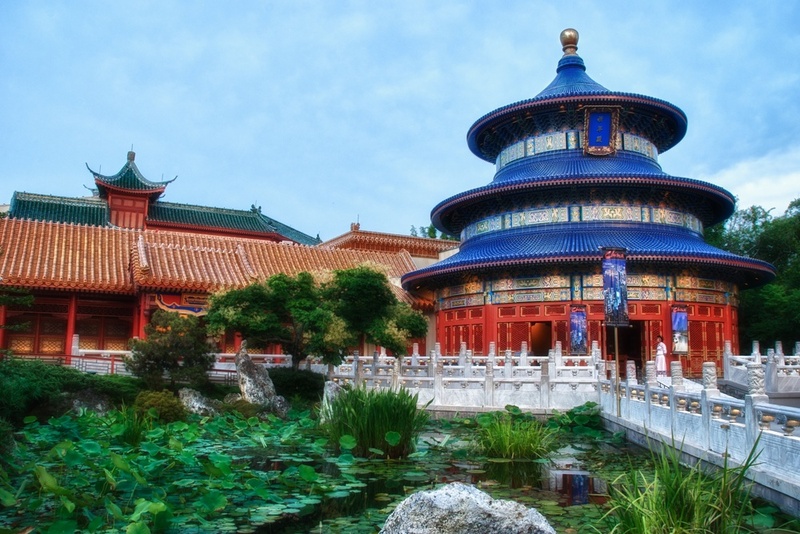 Well, this is the Chinese area of EPCOT in Orlando, FL. I haven’t been to China yet, so I cannot confirm or deny its accuracy, but it sure is interesting to photograph. I took shots of this temple (is that what you call it??) from several different angles, but wanted to start by sharing this one. The colors are intense and it is a beautiful structure. Oh, and yes, I had to wait for a bit to get clear shots without people in it! You know what they say - the waiting is the hardest part...(I know that song is now stuck in your head! ).